The “People Who Made A Difference” is a favorite of mine during this most wonderful time of year. Having had a hand in this annual holiday season feature since its inception 22 years ago, the stories of Maui County residents’ acts of selflessness and contributions that mean so much to children, the elderly, the sick, the less fortunate and everyday members of our community impress and warm my heart every year. They give me hope for humankind; that in a world that can be so ugly and angry, there are people in our small community who work behind the scenes for the most part, anonymously in many cases, without want of awards or recognition. They just want to help and better our community. Our five 2016 People Who Made A Difference offer diversity representative of the community we live in. Some of them are not familiar names in the news, like Don McLeish, a name that may not be known to the community in general but is forever etched in the lives of those he has saved, swimmers caught in the dangerous rip current at Honokowai Point. Then there are Craig Okita and Dean Yamashita, who use the game of baseball to instruct young boys and girls in the game of life. The coaches, former stars who donate countless hours year in and year out, led teams that won international and national youth baseball championships that brought glory to the county this summer. Wesley Lo is more prominent, having recently led Maui County public hospitals on a rough and tumble path to a public-private partnership. He felt it was the best option for the financial stability of Maui Memorial Medical Center, Kula Hospital and Lanai Community Hospital and marshaled public support behind his plan to reform county public hospitals. It was a multiyear effort that experienced defeats, victories and last-minute twists but appears to be headed to fruition in July. Like Lo, Sara Foley, Dorothy Tolliver and Susan Werner worked toward a single-minded goal for years: to deliver The Holoholo Bookmobile. They not only led the effort with the Maui Friends of the Library to raise $300,000 for the gift to the public library system to replace a bookmobile that had broken down and was off the road, but they lobbied state lawmakers to provide a librarian for the traveling library that visits adult day care centers, public and private schools, preschools and Boys & Girls Clubs. Na Hoaloha is a gathering place for Maui County volunteers, nearly 250 of them serving more than 600 elderly and people with disabilities in the tri-island county. They do “really small things” that “really do add up,” said one official. Probably the most important thing the volunteers offer is company, someone to talk to. 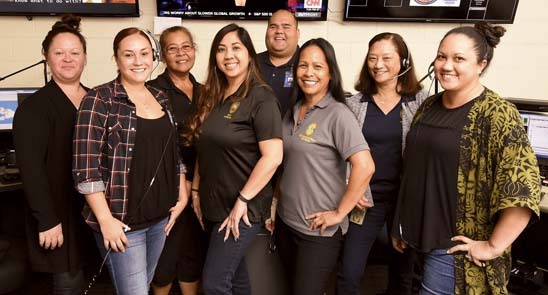 For those of us who go about our busy lives every day at work and home, company and another person to speak to may be the last thing we desire, but for those isolated members of our community, the call or visit by a Na Hoaloha volunteer means so much. The interaction brings them out of the darkness of loneliness and into the world. For the second time, we solicited nominations from the public and received 49 nominations. There were many other nominees who made a difference in 2016 and are deserving of the honor and recognition. Regretfully, space and staffing limitations force us to keep the list at five individuals or groups. The five People Who Made A Difference were selected by votes of The Maui News staff, a practice since the inception of the feature in 1994. The votes were close and decisions were difficult, a measure of the quality of the nominees. For most of its run, the feature ran on New Year’s Eve, beginning on the front page. It moved to Christmas Day in 2013 and became a Christmas tabloid last year. 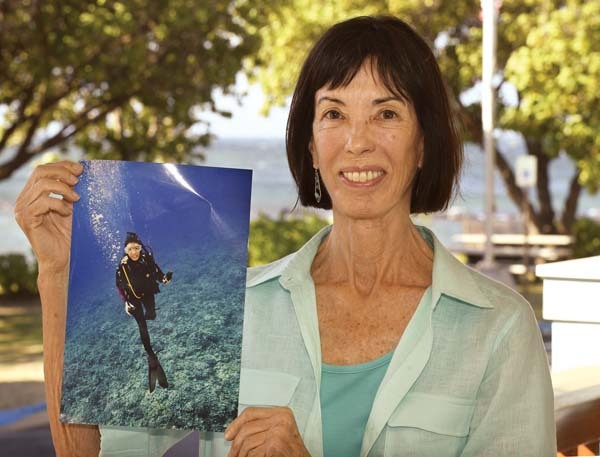 People Who Made A Difference is the brainchild of Christie Wilson, a former Maui News city editor and the current features editor at the Honolulu Star-Advertiser, with the support of then-Editor David Hoff. The feature began by naming newsmakers who made a difference, and not always in a “good” way. Eventually, People Who Made A Difference evolved to recognize good people for good deeds, often outside the spotlight of the media. 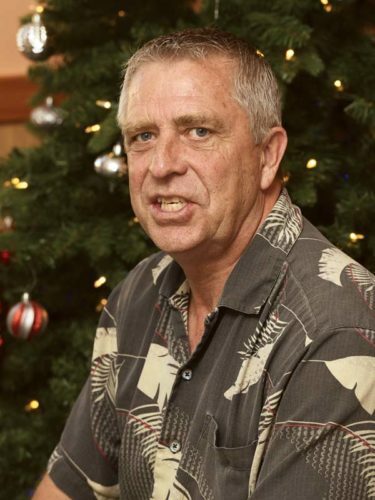 Through the years, more than 200 Maui County men and women have been recognized, from Masuru “Pundy” Yokouchi in the first year in 1994 to A Cup of Cold Water, a group of volunteers from assorted Maui churches who aid the homeless, in 2015. Na Hoaloha volunteers, McLeish, Okita and Yamashita, the bookmobile women and Lo are special members of our community because of the breadth of their volunteerism and efforts to make our community a better place. 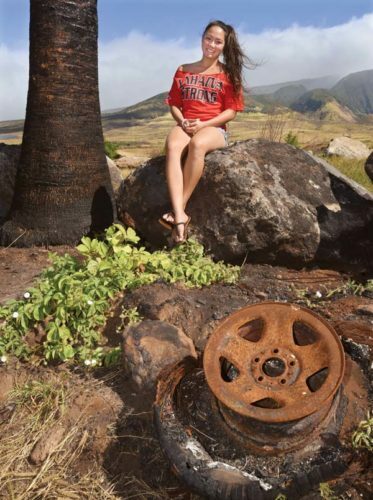 They don’t just go to work and ply away at their jobs or write checks to Maui’s nonprofits or volunteer one weekend at a beach cleanup — efforts that are important and not to be diminished. But there is a commitment, a fervent drive to conjure a better life for others from this group of People Who Made A Difference that can only be an inspiration to the rest of us. • Lee Imada can be reached at leeimada@mauinews.com.